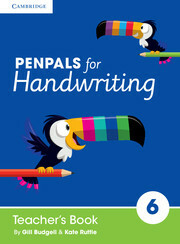 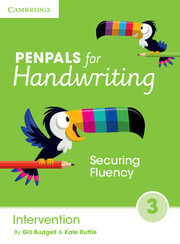 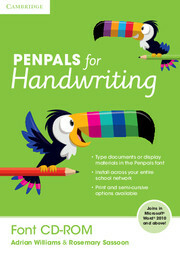 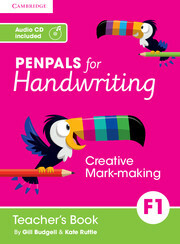 Penpals for Handwriting (second edition) is a complete handwriting scheme for 3-11 year olds. Penpals Foundation 2 Teacher's Book consolidates the gross and fine motor skills developed at Foundation 1 and introduces the letter family approach.The colourful and appealing Long-Legged Giraffe, Curly Caterpillar, One-Armed Robot and Zig-Zag Monster introduce children to letter formation in a fun and exciting way. Penpals Foundation 2 Teacher's Book includes suggestions for using the Foundation 2 Penpals for Handwriting Interactive resource, along with full differentiated planning for whole-class sessions for Foundation 1 and 2 children. 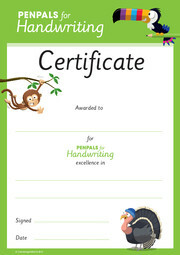 In addition, a scope and sequence chart, photocopy masters and writing mats for left- and right-handers are included. The Teacher’s Book provides comprehensive teaching guidance for all units and includes: An outline of the unit’s key learning whole-class teaching support linked to Penpals Interactive links to the use of the corresponding Practice Books and workbooks with suggestions for both group work and independent work. suggestions for extra practice and home practice. Guidance on common errors and what to do about them.